One of the surprises of getting BNT Beauty Boxes is trying out cool, new products, some you've never heard before. 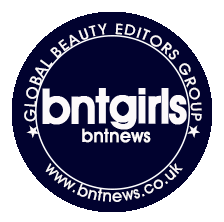 But sometimes, we get the products we have previously been sent before as well, which can't be helped because the brand companies send them out to BNT for the beauty bloggers to try out. Today's beauty review is on the Amaranth Messaline Ultra Hydrating Cream. When I first received this product I immediately saw the similarities in packaging to my previously reviewed Amaranth Ultra Hydrating Cream. I used the Messaline to see if there are NY difference between the previous one I received but after using it for a couple of weeks, I came to the conclusion that it might be one and the same. I checked with Nawael, of bntNews and she confirmed that it is the same product with a revised packaging. As you can see they only changed the name and added 'Messaline' to it and then changed the silver into gold for the packaging, everything remained the same. It still has that sleek deep blue color and I'm still bored on how Samsung's logo is on the side of the box (I mentioned this on my previous post). The Ultra Hydrating Cream has that water drop drop texture/formula that has been quite popular with skin care products lately. It contains cabbage rose, red ginseng, and chamomile extracts that boosts moisture and skin elasticity and at the same time calms the skin. I haven't changed my opinion of this product. I still use it everyday prior to makeup application because it smooths out the face and acts like a primer. It absorbs quickly on the face and leaves the face hydrated throughout the day even if it's underneath makeup. I love this product so much that I used this prior to applying makeup to my sister-in-law's bridesmaids (check out the July 2015 update). I was tasked to do hair and makeup for the bridesmaids on my brother's wedding and I used a matte airbrush foundation. Knowing it would slightly dry out the skin, I used the Ultra Hydrating Cream to moisturize and prep the skin and the results were amazing. This is one of the products that I would highly recommend to all skin types.